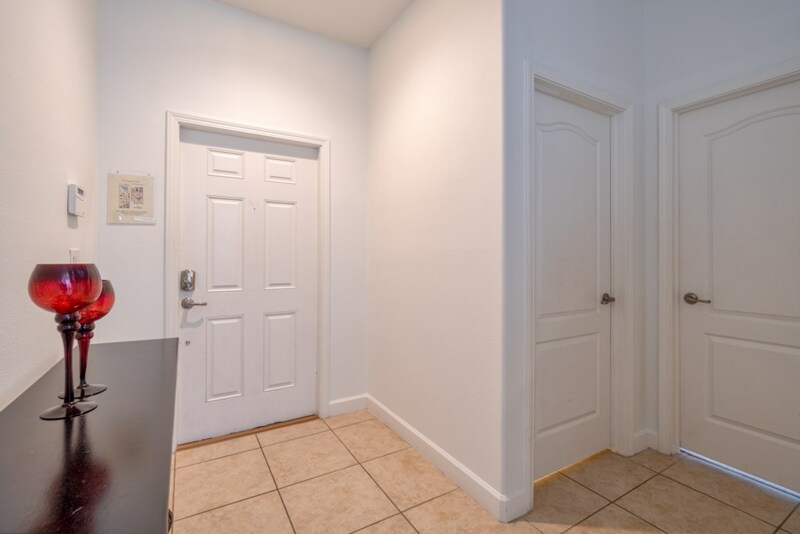 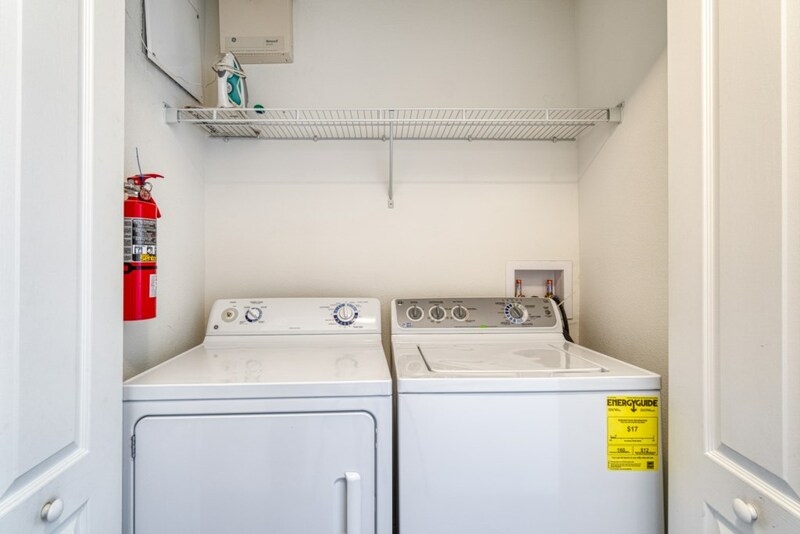 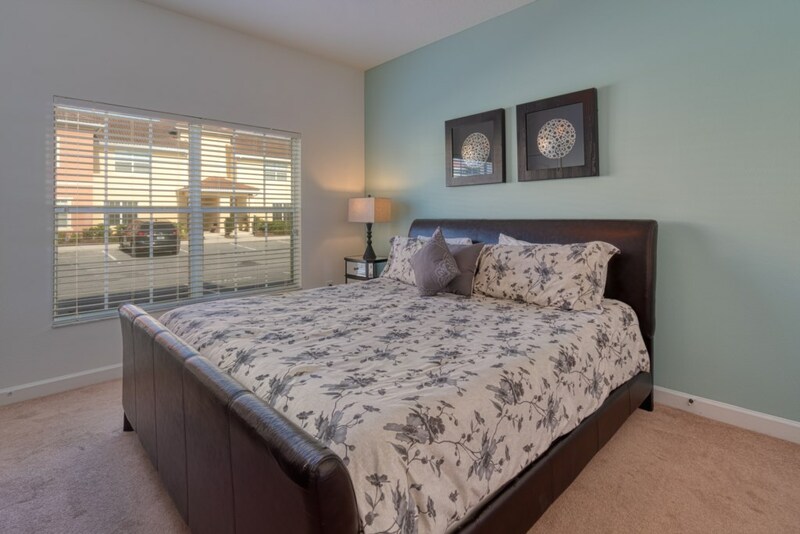 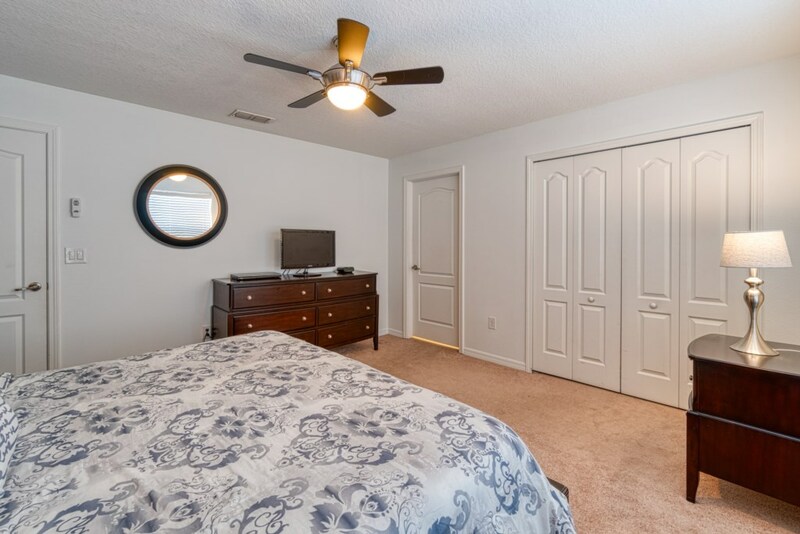 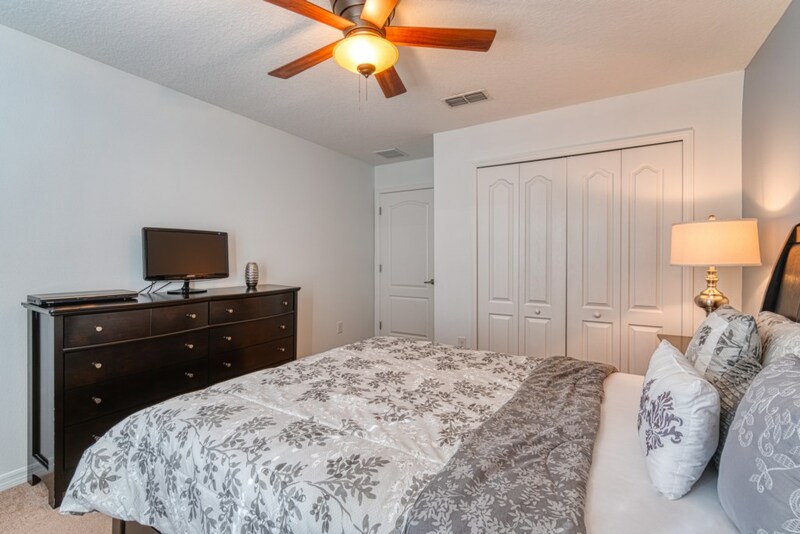 There are 4 bedrooms- On the 2nd floor- the 1st bedroom has a king suite with a private bathroom, the 2nd bedroom comes with a king bed and the 3rd bedroom has 2 full . 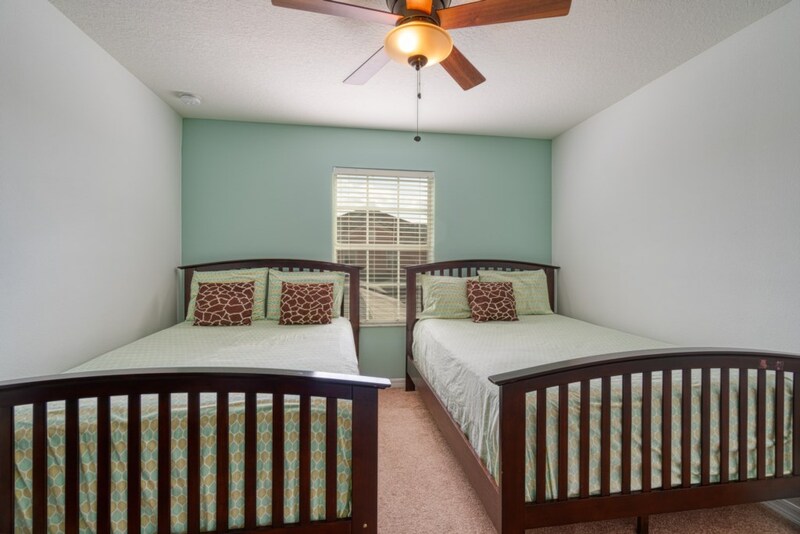 On the 1st floor there is a bedroom with a King sized bed. 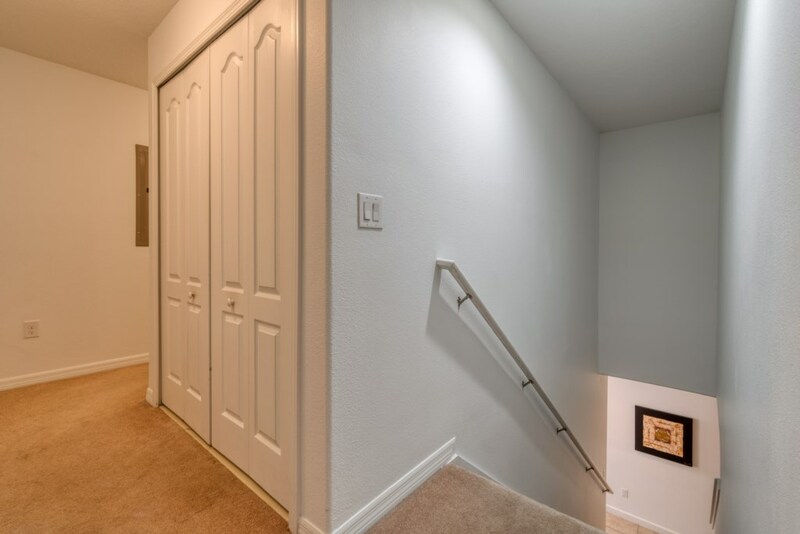 10 guests can fit comfortably in this home. 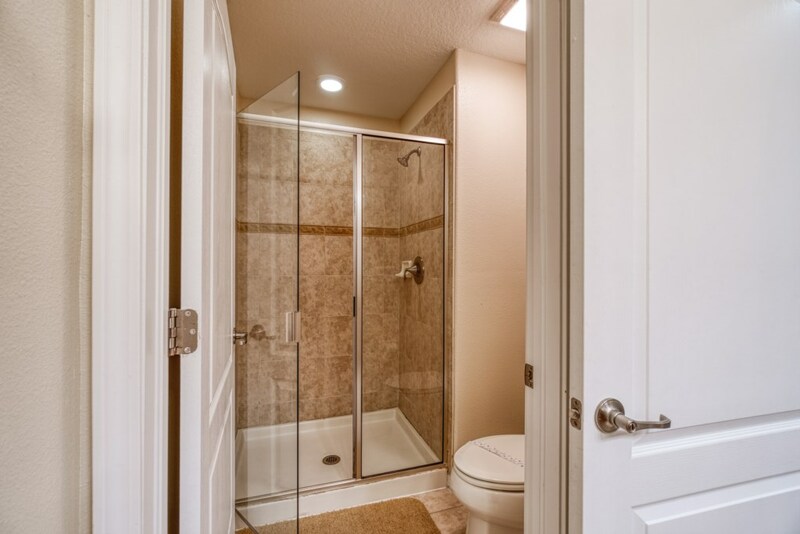 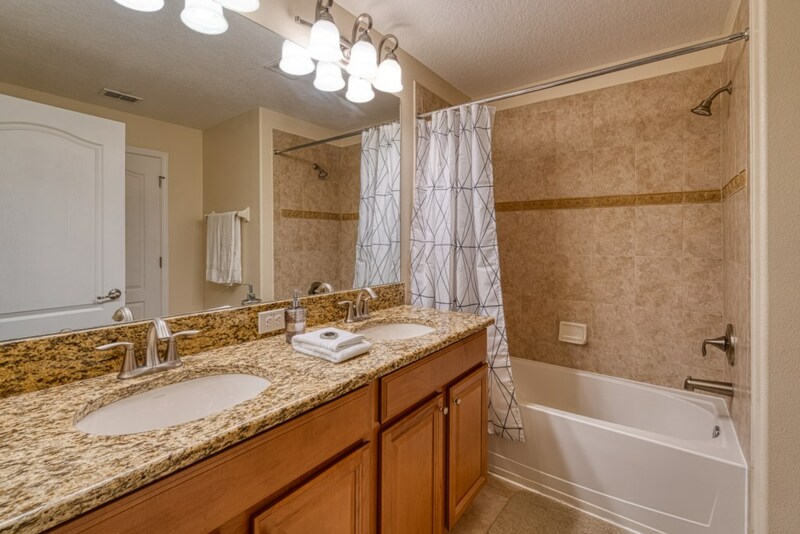 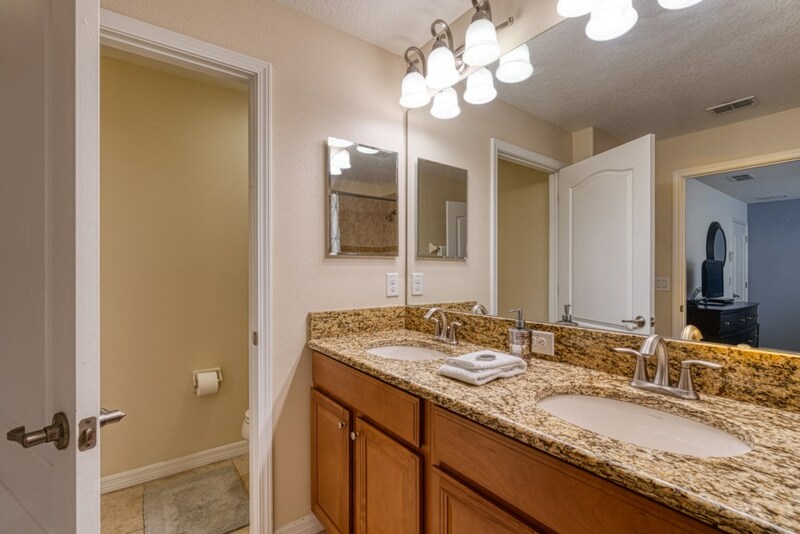 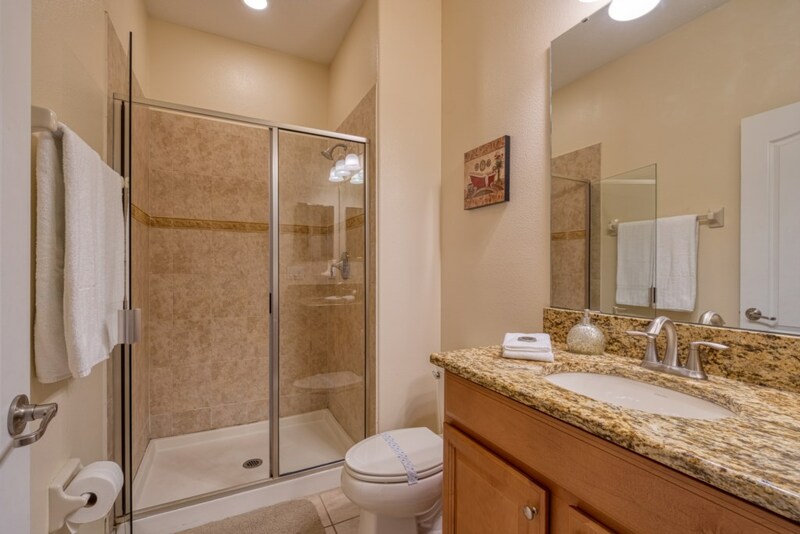 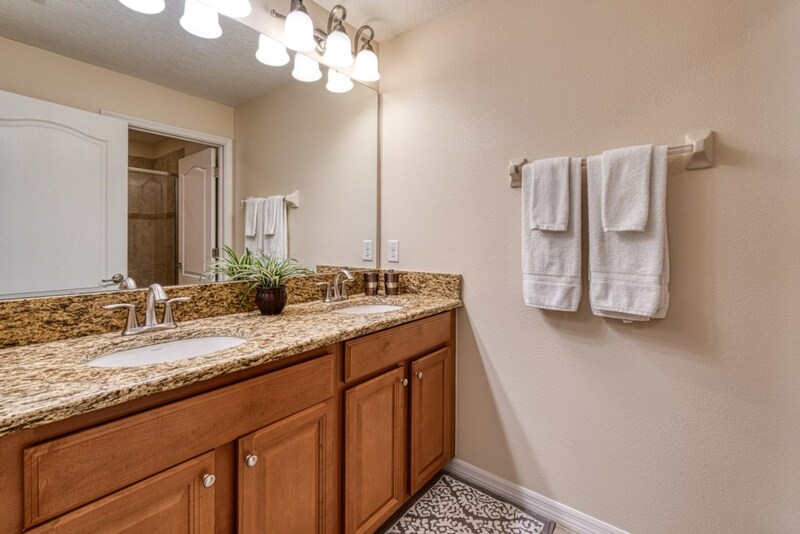 The other bathrooms are conveniently located throughout the house for the other guests. 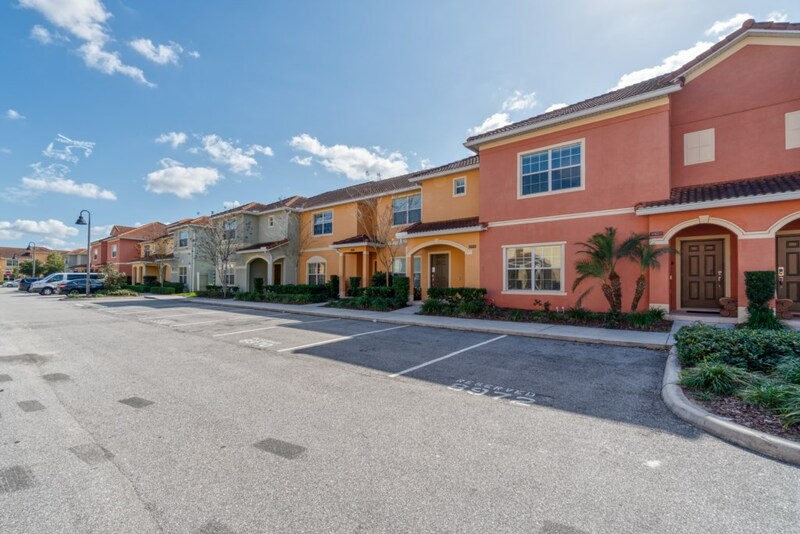 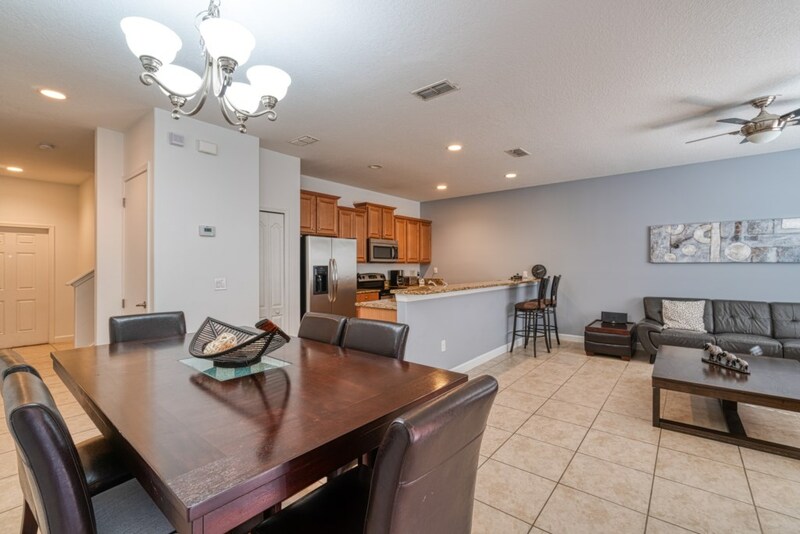 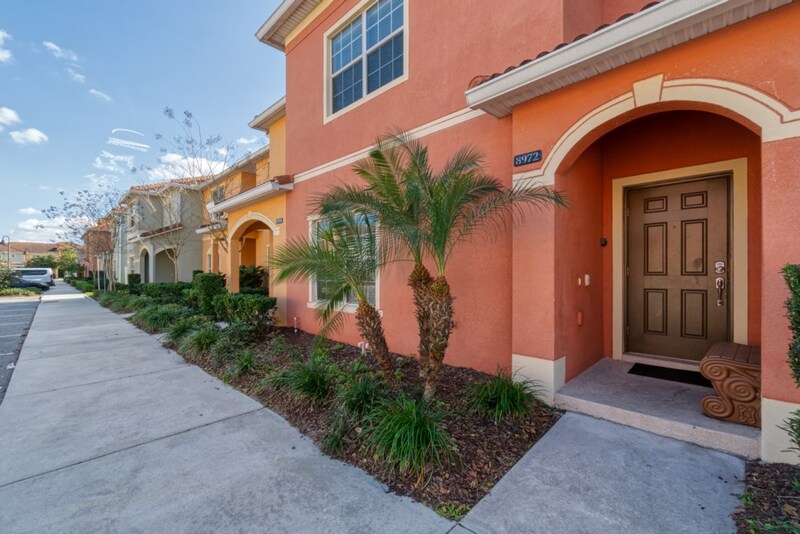 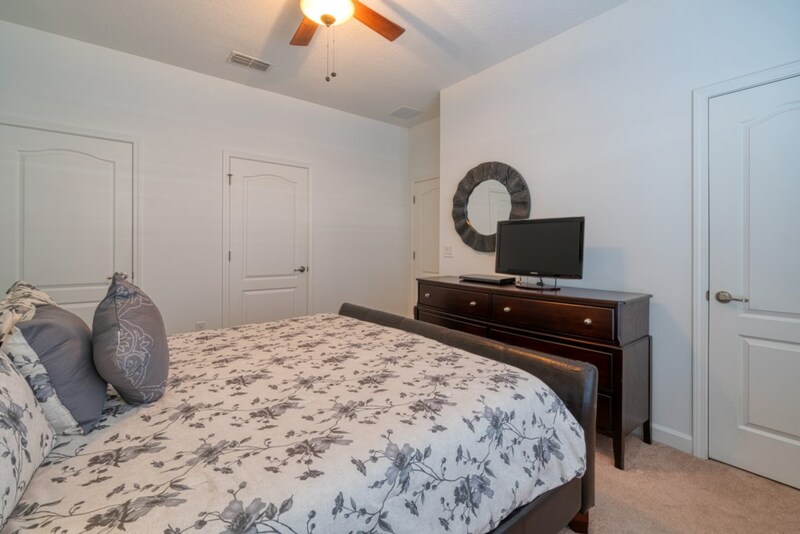 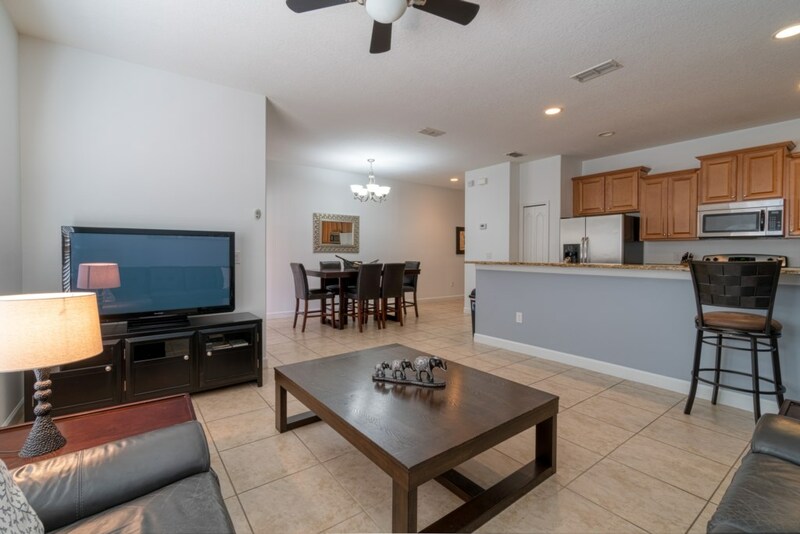 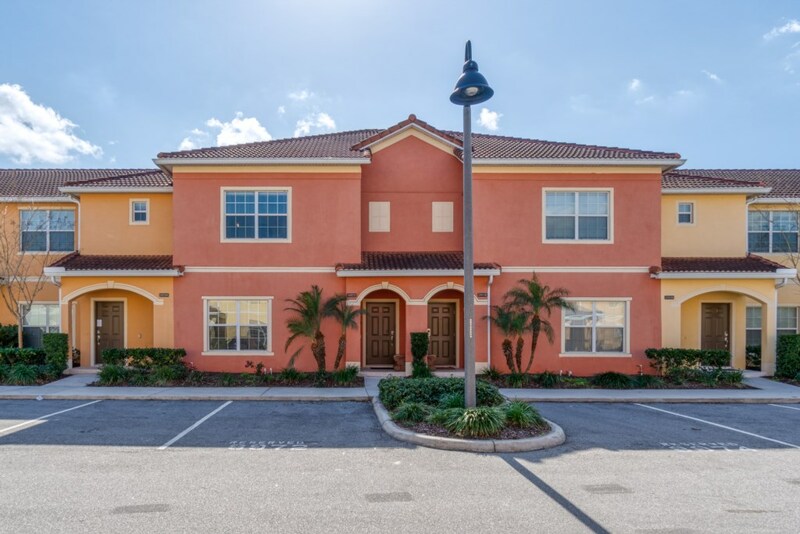 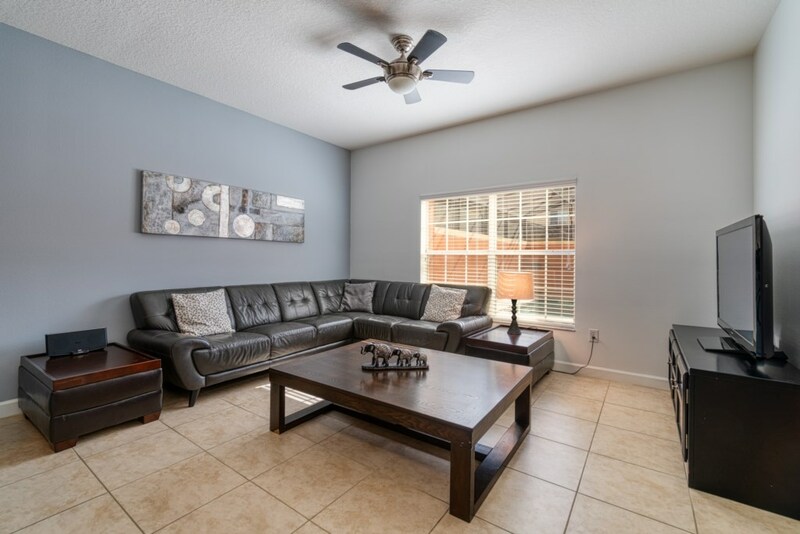 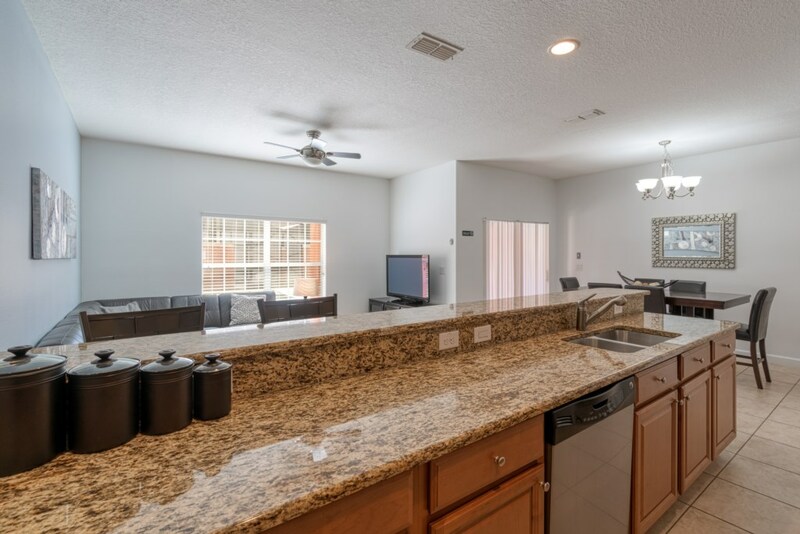 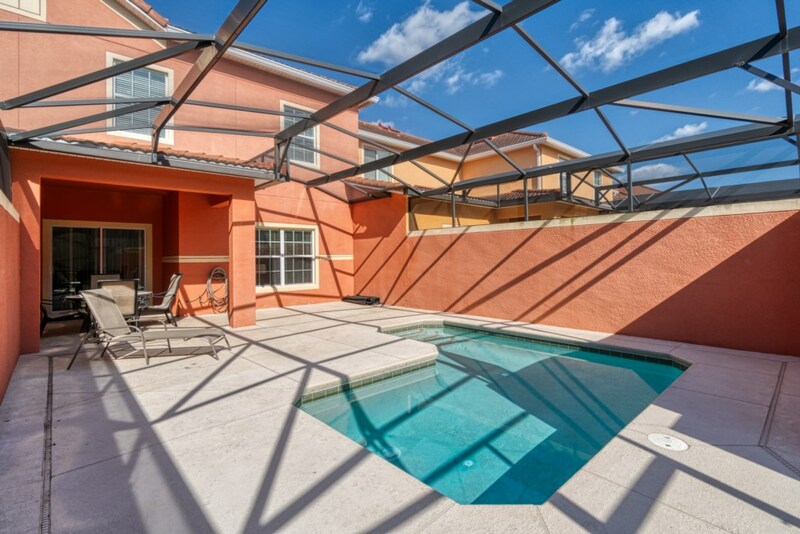 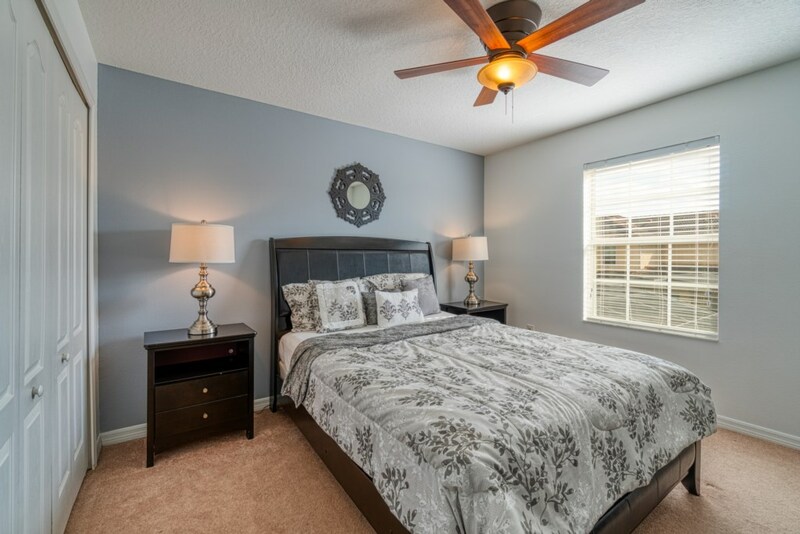 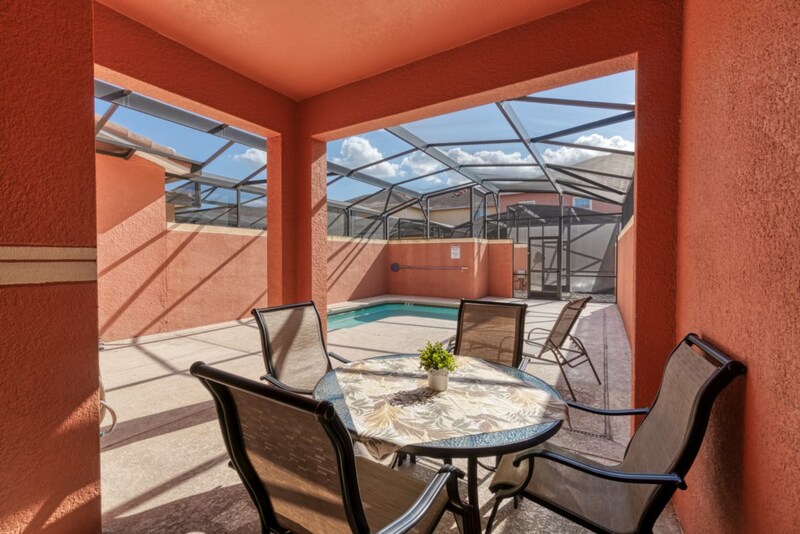 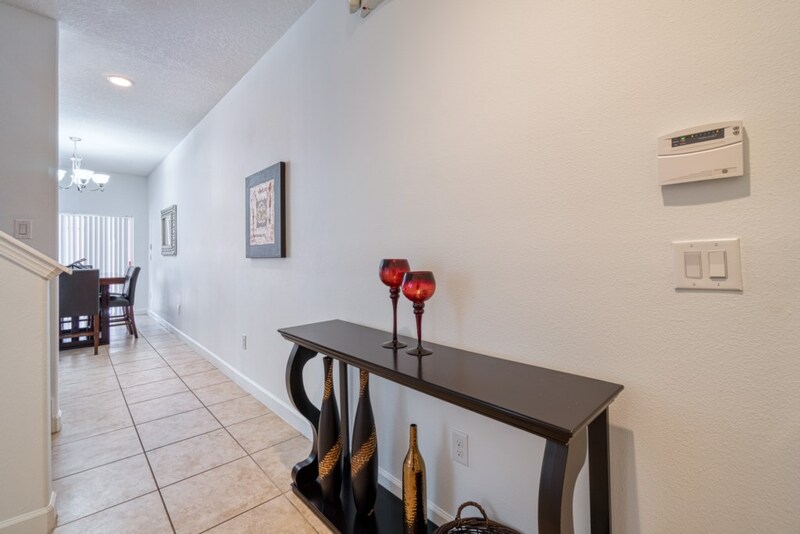 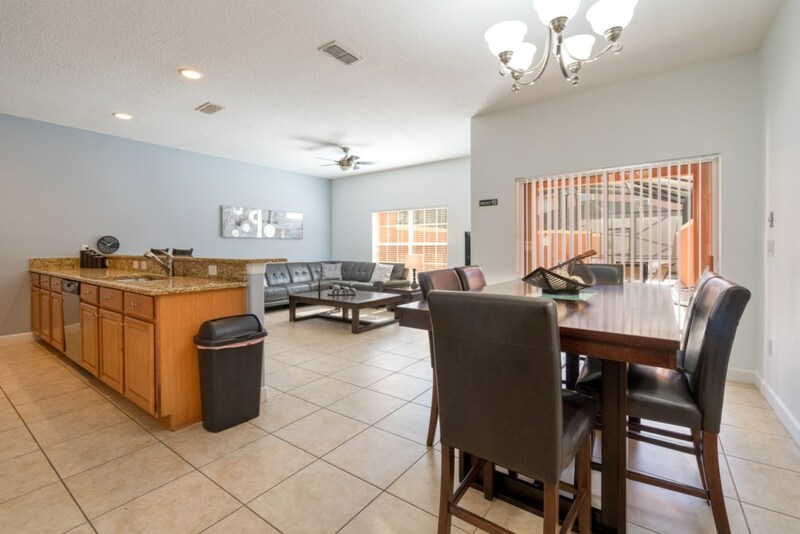 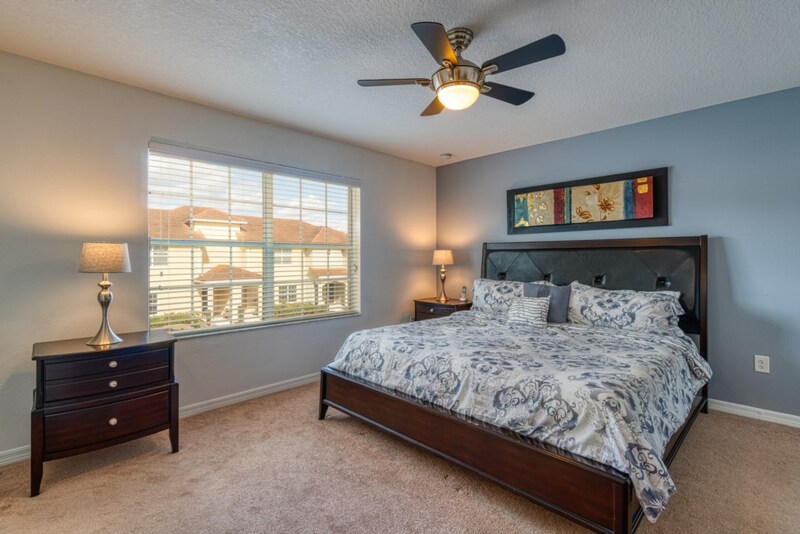 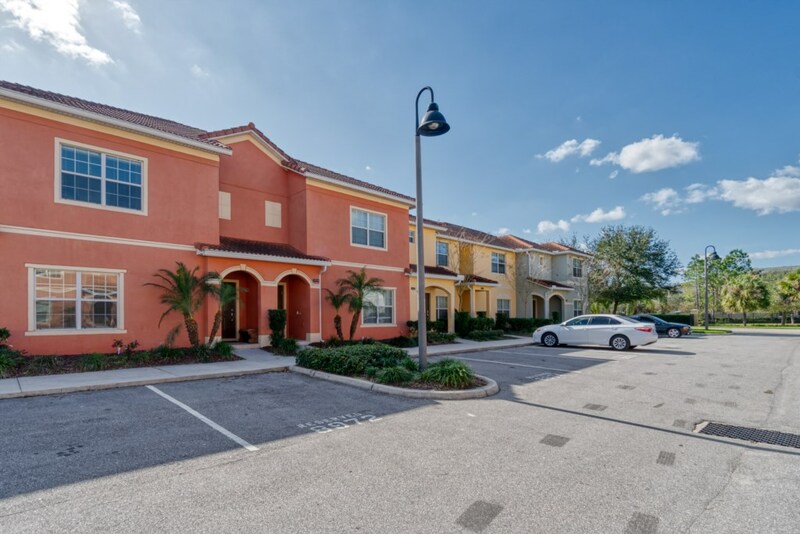 s Orlando’s premiere tourist and commercial destination — encompassing some 1,500 acres southwest of The Walt Disney World Resort —at this Luxury Orlando vacation rental located in Paradise Palms Resort, you can be as private or as social as you want to be! 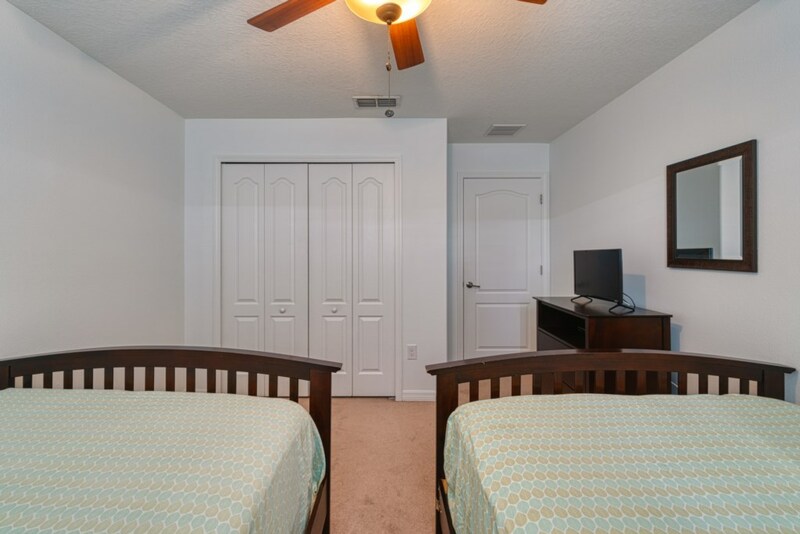 The resort features a clubhouse, swimming pools with Jacuzzi, playground for children, cyber café, game room, full gym and entertainment area. 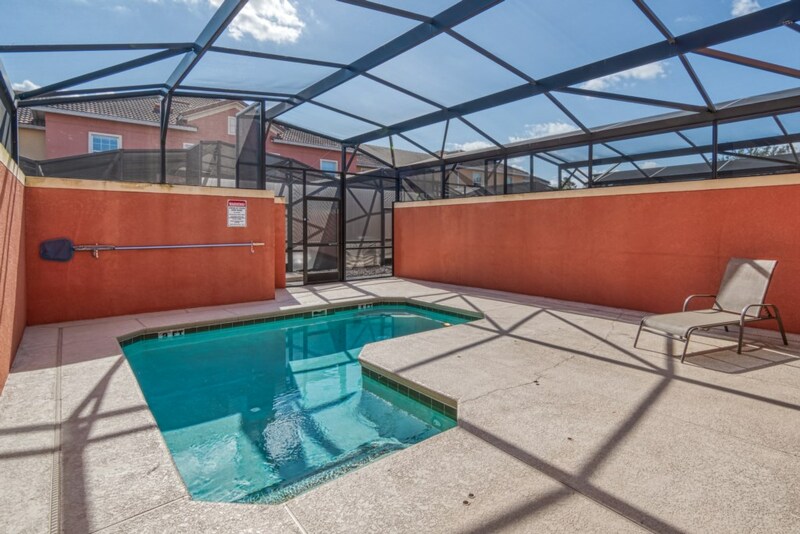 We also offer volleyball, basketball and tennis courts.